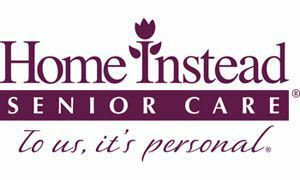 Since 1994, the Home Instead Senior Care® franchise network has been devoted to providing the highest-quality senior home care. Compassionate Home Instead CAREGivers are an invaluable resource in helping families eliminate worry, reduce stress and reestablish personal freedom. From Alzheimer`s and dementia support to respite care and companionship, our more than 900 locally owned and operated offices are ready to help you through this difficult time. The 85-and-older population is expected to more than triple between 2008 and 2050 in the United States alone. This staggering statistic not only proves the growing need for elderly home care, but also the fact that thousands of families are facing the same critical decision as you. You are absolutely not alone. Our home care services are available around the clock, every day of the year and they include everything from companionship, meal preparation, light housekeeping, medication reminders, shopping and errands to continual care and Alzheimer’s care. With our extensive experience in elder care, we can help you find the right solution to assist your loved one in maintaining the best possible quality of life. Our CAREGivers are subject to an extensive background check and drug screen prior to employment. In addition, each employee completes over thirty hours of hands-on training before ever working in a client's home. Our CAREGivers are bonded, insured, and licensed through the state of Georgia. To us, it’s personal. If you’re looking for extraordinary in-home senior care and companionship, you’ve come to the right place. Call now to see how we can help your loved one live independently at home. We are proudly serving: Towns, Union, Rabun, Stephens, Banks, Habersham, White, Lumpkin, Gilmer, and Fannin Counties.